Dr. Ravindra Sharma is the Associate Dean of Graduate Studies and Associate Director of Research. He currently oversees the research development in the School of Veterinary Medicine and teaches pathology and disease diagnosis courses. His academic interests include research on the pathology of infectious and zoonotic diseases. Dr. Sharma has received numerous awards, including the National Jawaharlal Nehru Award for outstanding research contribution in the field of veterinary pathology in India in 1975, the Pfizer Award for Research Excellence for outstanding achievement and dedication in the field of veterinary medicine at St George’s University in 2008 and, in 2014, the prestigious Fellow of Indian Association of Veterinary Pathologists Award for his lifelong contribution to Veterinary Pathology. Prior to arriving at St. George’s University, Dr. Sharma taught pathology and disease diagnosis and research at national universities and has published over 173 research papers. 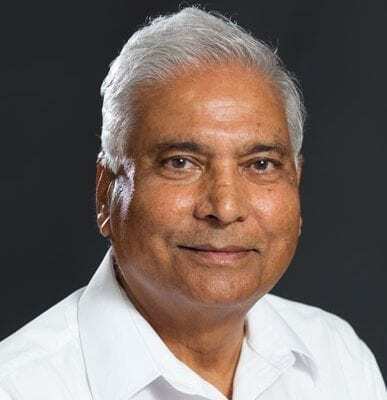 Dr. Sharma received all of his professional education from Agra University in India, where he earned his Doctor of Philosophy in Veterinary Pathology in 1974.